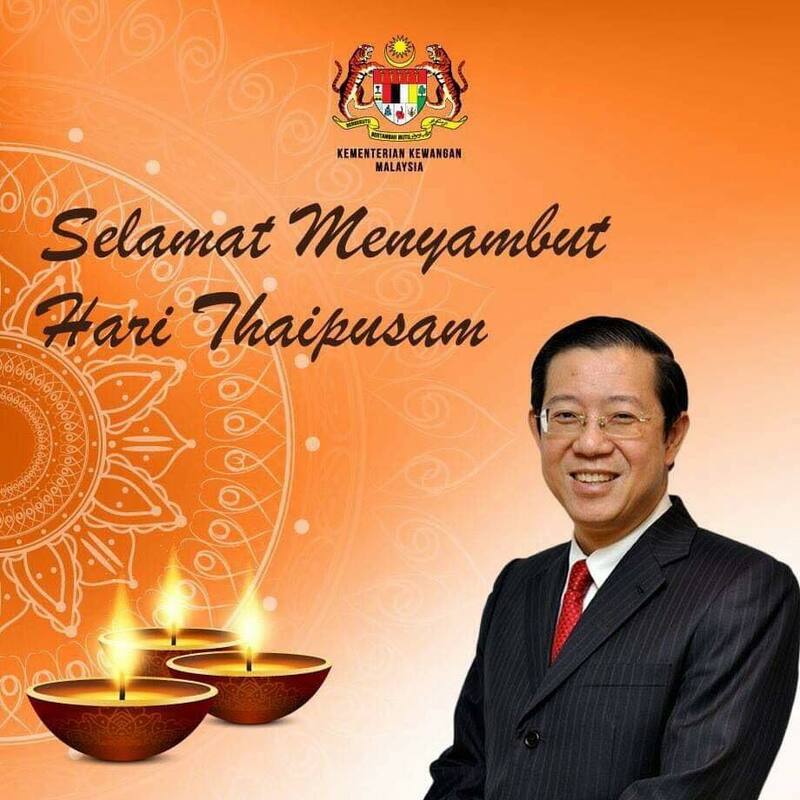 DAP wishes all Hindus a Happy Thaipusam, a celebration of the triumph over evil, a fulfilment of our vows and promises in our victory in overcoming the evil teachings of greed, hatred and arrogance. This is the first year that Thaipusam is celebrated after Malaysians united together to defeat corruption and establish a people-centric government for the first time in 61 years. 3 years is needed to restore Malaysia’s fiscal position following the excesses of 1MDB, the largest financial corruption in history. No stone shall be left unturned to ensure that justice is done and as much of the stolen money is returned to the people. Whilst the damage to the nation’s finances is much worse than expected, the new government will work towards delivering on our promises progressively. Never is there greater necessity for us to work towards racial and religious harmony, and prevent irresponsible elements from succeeding in sowing discord, hatred and violence to disrupt national unity. DAP respects Islam as the religion of the Federation of Malaysia as stated in the Federal Constitution as well as the rights of non-Muslims to practice their religion freely. Thaipusam is an expression of that religious freedom enshrined in the Federal Constitution. protects the environment by ensuring sustainable development. Malaysians must work together against forces of disunity, racism and religious extremism by showing our preference for co-operation not conflict, consultation instead of confrontation and an inclusive shared society rather than an exclusive separate society.